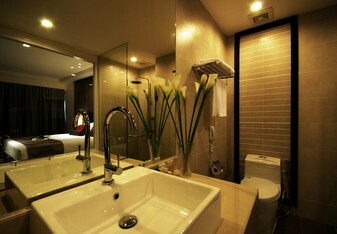 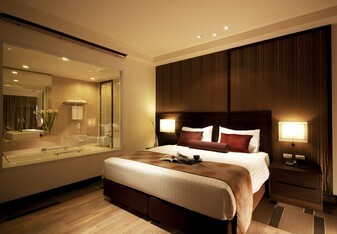 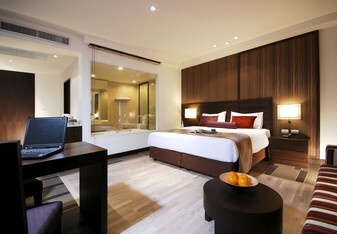 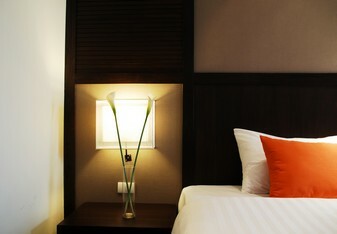 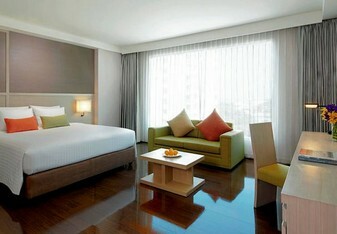 Our hotel rooms and suites effortlessly blend style and convenience for your South Pattaya visit. 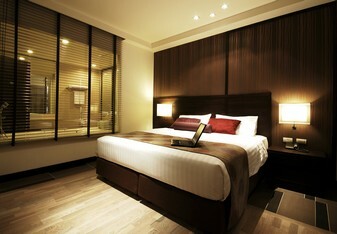 All accommodations feature deluxe bedding, free Wi-Fi access, and spacious, well-lit work desks. 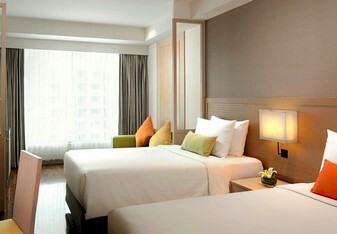 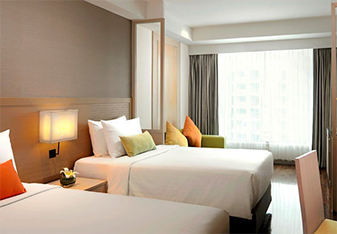 Additional amenities for your Pattaya hotel stay include LCD flat-screen TVs and laptop-sized safes. 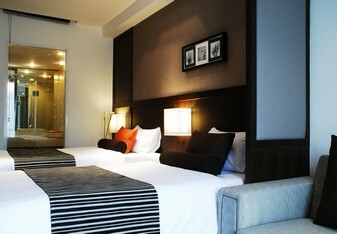 Store a snack in your mini refrigerator, or order room service and dine in your accommodations. 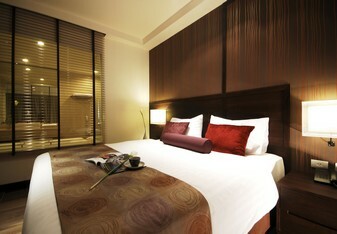 Start your day in Pattaya with a fresh cup of coffee, from your in-room tea and coffee amenities. 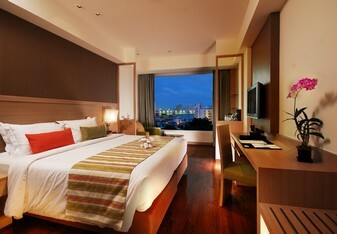 Gaze at the pool or the city of Pattaya from your hotel’s floor-to-ceiling windows. 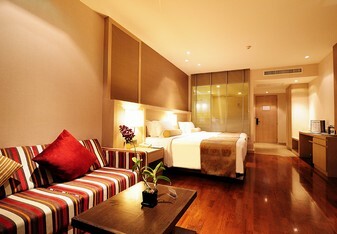 Superior Rooms (32sqm.) 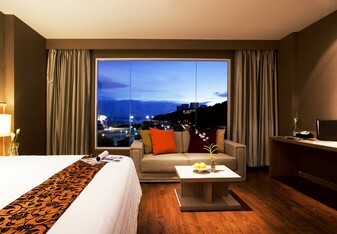 offer wonderful views over the pool. 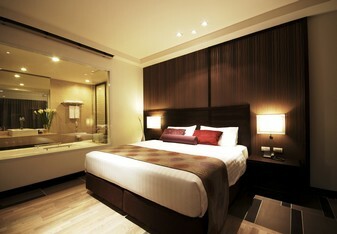 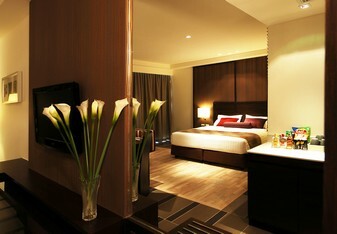 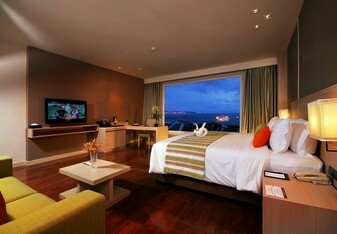 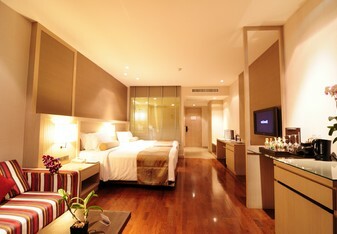 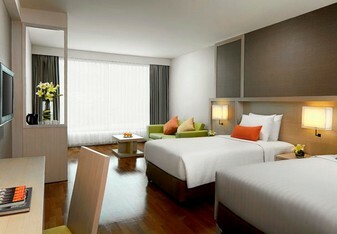 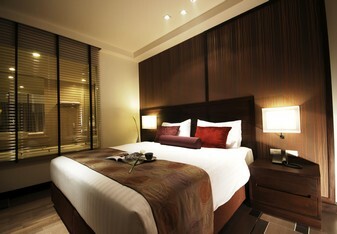 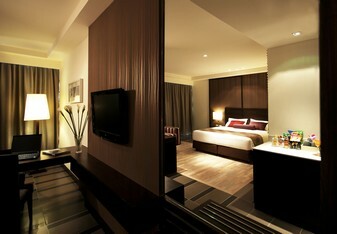 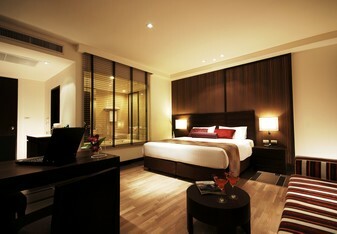 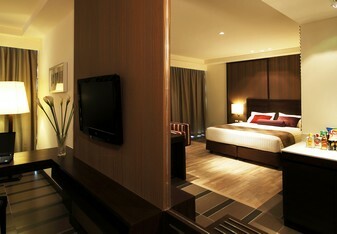 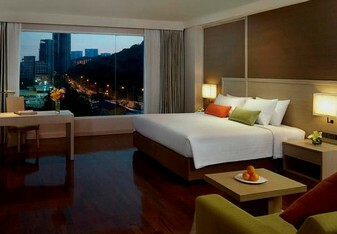 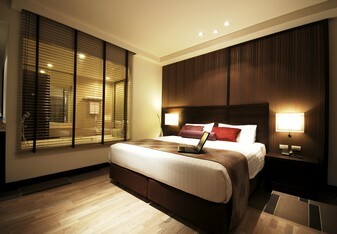 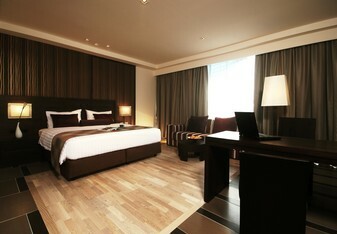 The spacious and comfortable rooms, with a wood dominated interior exudes an impression of warmth and friendliness. 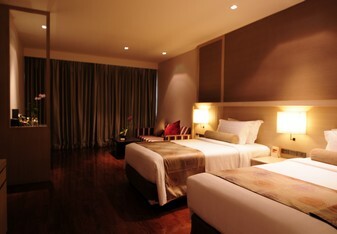 Rooms are appointed in a décor that accents the most peaceful elements of nature and are fully equipped with satellite television, Wi-fi Internet access, and an executive writing desk. 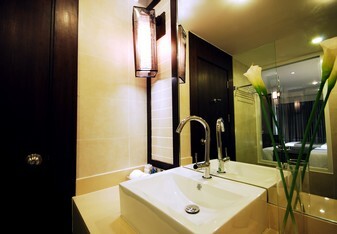 Each room (40 sqm.) 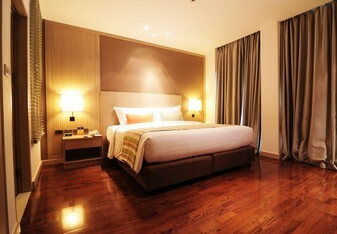 is featured with rich wooden furniture. 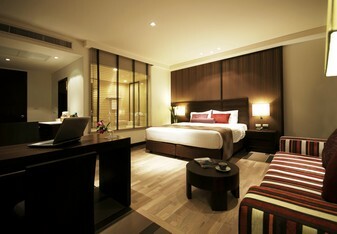 Deluxe Rooms offer 40 square meters of space and are sumptuously appointed with all modern conveniences including internet access. 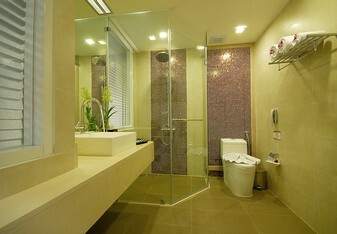 Bathtub and separate shower are standard features of this elegant bathroom. 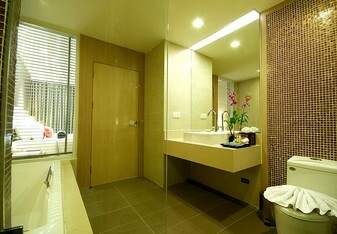 Studio rooms (50 sqm.) 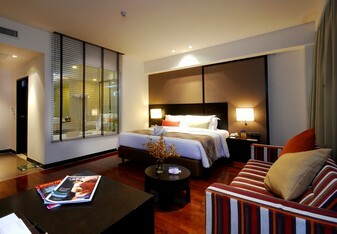 offer a spacious and comfortable separate living room that is perfect for relaxing. 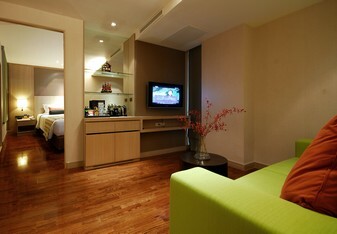 The Studio rooms feature comfortable contemporary sofas and furniture from which to enjoy flat-panel television. 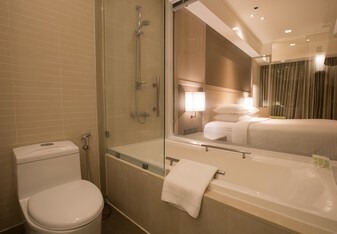 The spacious bathroom contains a separate shower, deep soaking tub and a full supply of deluxe bathing products and plush Signature towels and bathrobes. 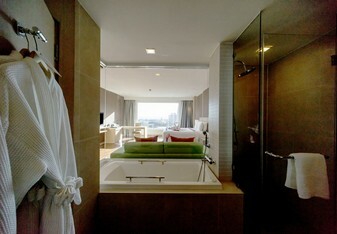 The suites (75 sqm.) 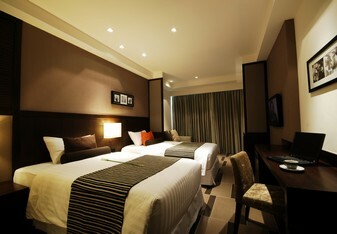 consists of two separate bed rooms and one living room. 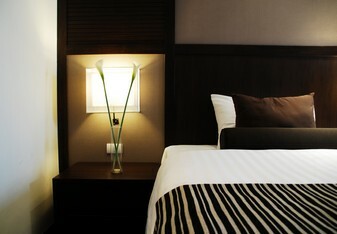 Each Bed room is fully equipped with all facilities and separate bath room. 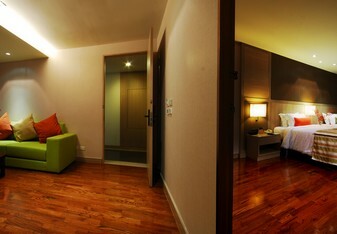 All the three rooms are independently equipped. 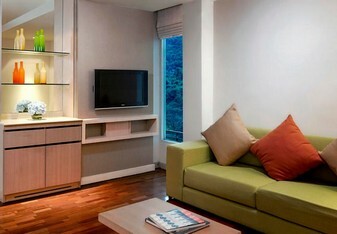 The suites feature comfortable contemporary sofas and furniture from which to enjoy the flat-panel televisions. 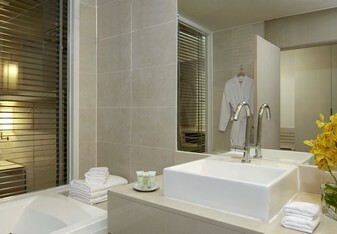 The spacious bathroom contains a separate shower, tub and a full supply of deluxe bathing products and plush Signature towels and bathrobes.